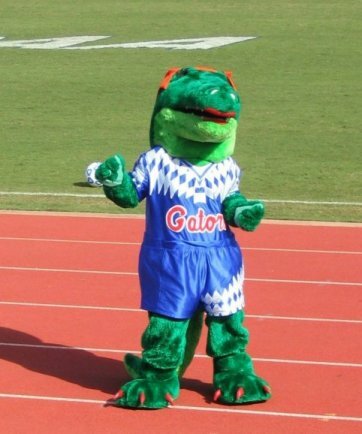 The nickname GATORS for the University of Florida is no mere posturing. Alligators live wild on campus, just a fraction of a mile from the soccer stadium. I saw several specimens while I was there, many in Lake Alice. Some of them are real, some are not. We report, You decide.